VMware vSphere live migration, or vMotion, allows you to move an entire running virtual machine from one physical server to another, without downtime. 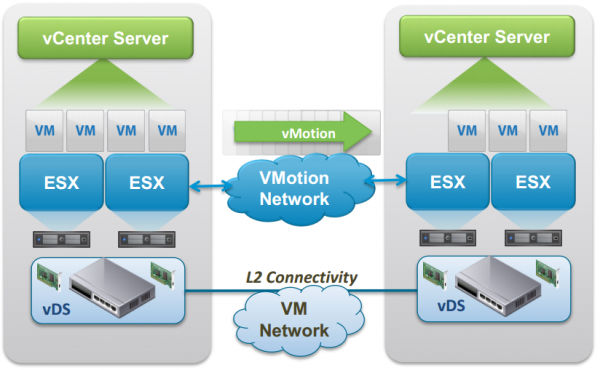 VMware vSphere vMotion is the foundation of many of VMware functionalities (DRS, etc.) and solutions. 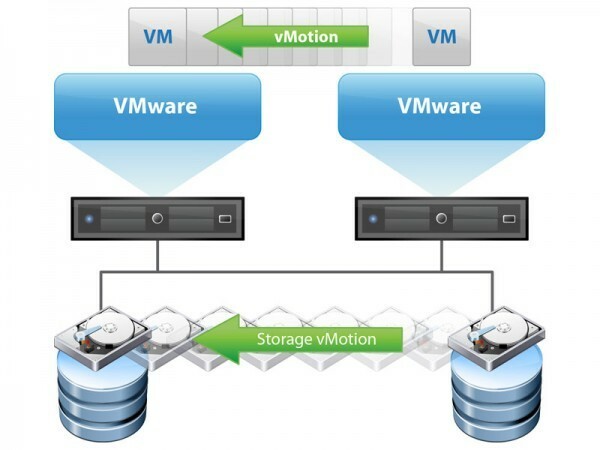 It evolved a lot during the last decade, starting from a simple Live Migration feature between hosts with shared storage (basic vMotion), followed by Storage vMotion (VI 3.5) and multi-nic vMotion (vSphere 5.0) and finally vMotion without shared storage in vSphere 5.5. With vSphere 6, the range of possibilities will be extended (again!) with an improved version of vMotion. vSphere environments are typically organized into datacenters and clusters. The datacenter object is the highest building block of a vCenter hierarchy, and the highest-level logical boundary representing a vMotion domain. Architects and engineers had to respect these vMotion domains to design their infrastructures. But wait! With vSphere 6, you will be able to migrate a Virtual Machine between vCenter servers. This new workflow will allow you to change compute, network, storage and management…simultaneously! The process will even maintain virtual machine historical data (events, alarms, performance counters, etc.) and vCenter related properties (DRS groups, HA settings, etc.). Routed vMotion is of course not the real name of this ability, but clear enough to be understood. Until now, Layer 2 adjacency was required for vMotion. In vSphere 4.1, vMotion was supported only when the latency between the source and destination ESXi/ESX hosts was less than 5 ms RTT. Metro vMotion was introduced in vSphere 5.0: the maximum supported round trip time latency between two hosts was extended 10ms with vSphere Enterprise Plus license. In vSphere 6, long-distance vMotion will be possible with up to 100 ms RTT between two hosts, allowing cross-continental migrations. You can sign up for the public beta of vSphere 6 on the vSphere Beta Program page.